RSVP is a nationwide volunteer program that invites adults ages 55+ to use their life experiences, talents, and skills to impact their communities. Our RSVP program encompasses Mills and Pottawattamie counties. Each of these programs is an excellent way to make a difference in your community with a minimal time commitment. Being a mentor in our Reading Buddy program, working with youth in local schools to improve their reading skills. 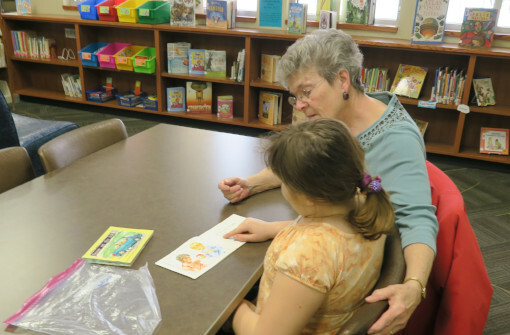 Reading Buddies serve a minimum of 1 hour per week at a designated school. Spending time with nursing home residents as a Friendly Visitor, brightening their days with a friendly smile, social contacts, and compassionate interactions. Friendly Visitors commit to serving a minimum of 3 hours per month. Volunteering as an Ombudsman in a local long-term care facility, serving as an advocate for residents, protecting their rights and dignity. This program is in partnership with the State of Iowa's Volunteer Ombudsman program and requires a commitment of 3 hours per month. 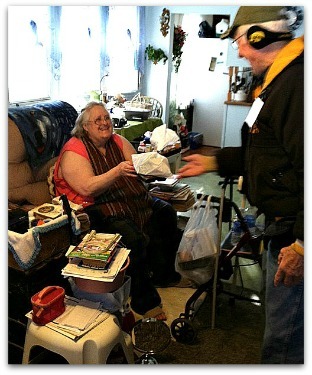 Driving a Meals on Wheels route, delivering a hot, nutritious noon meal (and a friendly smile) to our homebound neighbors.Delivering a Meals on Wheels route takes about 1-1.5 hours. Volunteers can choose how often they are available to deliver, Monday-Friday. Some deliver daily, others choose one or two days per week or month.